As businesses seek to become more efficient and productive, the trend for outsourcing is expanding across the globe. Many IT managers and business leaders are looking to managed IT support providers, but there are still several concerns about outsourcing versus hiring and developing an internal team. 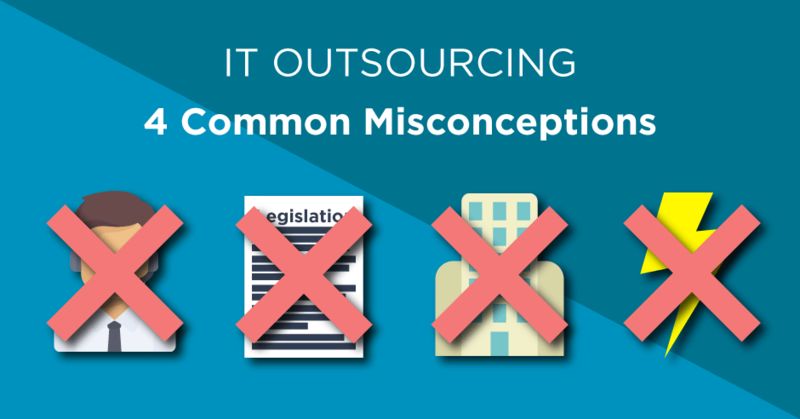 Below are some of the most common misconceptions and concerns businesses have about IT outsourcing. Many people believe they will get a quicker response from internal IT staff rather than a remote worker. This is simply not the case. With modern technologies, remote IT support staff can configure, repair and support without stepping foot in your office. Although many IT support contracts will include onsite visits where required, the majority of problems should be fixed remotely. It is a common misconception that when it comes to IT support you can only have on or the other. You either have an internal IT team or you outsource your support to a managed services provider. However many are now turning towards a hybrid model, outsourcing certain elements of IT, whilst still keeping an internal team. There are many reasons for some businesses to keep an internal IT team. For one, they can handle daily tasks which don’t require specialist knowledge, such as printer jams or dead keyboards. Alternatively, you could hand over all your IT support requirements to a provider, allowing your team to focus on strategy. Bringing in an outsourced team simply provides more support for your business. It’s up to you how you want to dedicate that additional resource. Some companies worry that they will have to fight for attention against other clients to have their IT problems listened to and solved, or that their requirements will languish at the bottom of the queue forgotten about. Any reputable IT service provider will include Service Level Agreements in their contract which lay out exactly how, when and in what timeframes services issues will be responded to. IT service providers are very experienced in managing and responding to clients and will ensure the right resources are dedicated to each task. Whereas if you rely solely on one or two internal people to manage all your IT requirements you may find the soon become quickly overwhelmed and fall behind the curve – particularly if they are supporting a large number of end users. If your first point of contact cannot solve your issue then they will escalate to the most appropriate person. There will be very few problems an outsourcing provider won’t have seen. Also, a member of the team will be able to provide a resolution, typically much faster than an internal resource. Outsourcing your IT support requirements to a managed services provider will not provide you with any additional risks compared to building an internal team. 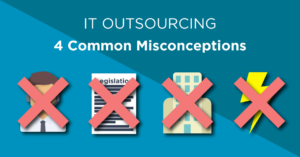 Top IT outsourcing providers are as rigorous in their IT hiring process as a reputable company would be, with candidates carefully screened and monitored. There are other qualifications and symbols of quality you can look out for, such as ISO 27001 certification. This is an internationally recognised standard for information security which demonstrates that a company has dedicated processes, procedures and systems for managing and continually improving IT security. ISO 20000 is also important as it ensures a continually improving level of service. Outsourced IT support delivers many benefits, but you can only achieve real and measurable business gain when you work with the right provider. Take the time to find the right one, with the right team in place to help achieve your company objectives.